That guy up there is me, Jamie Delson. I’m 62 (in the winter of 2011) and I’ve been collecting, painting, animating and playing with toy soldiers since my father gave me my first set in 1952 – a Britains Herald Gordon Highlanders Marching Band. I was 4 years old and those beautifully sculpted, magnificently painted guys hooked me for life. 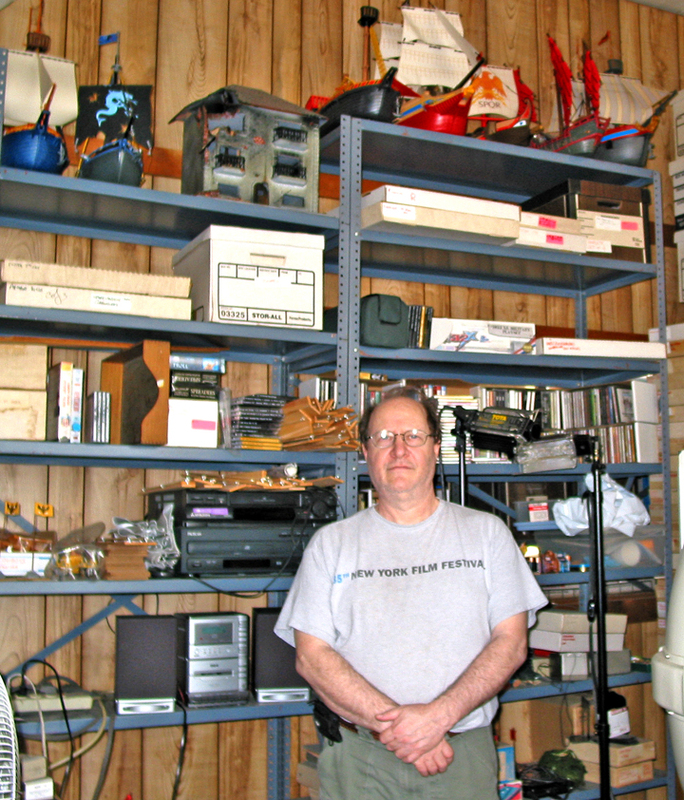 Some people like collecting stamps or coins, watching football or baseball, playing croquet or quoits. I have always had a singular passion for toy soldiers. 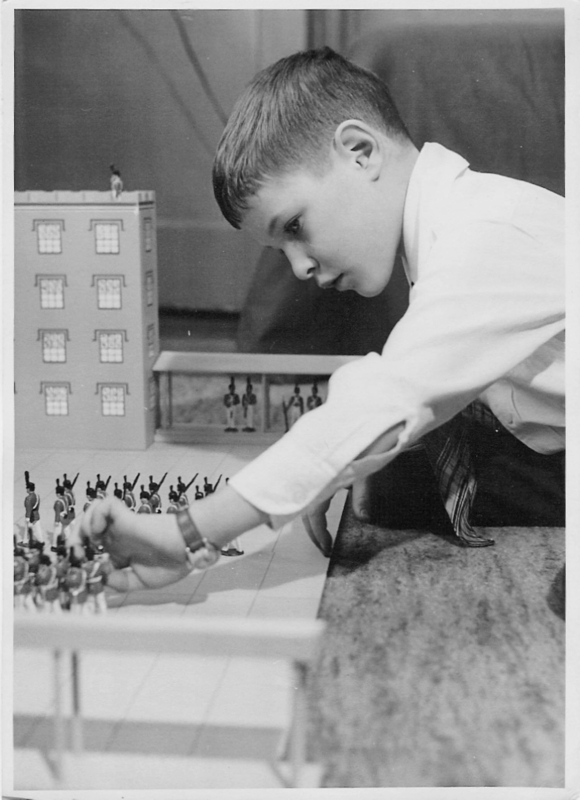 Below is a photo of me at age 7, playing with an F.A.O. Schwarz West Point set which featured Timpo cadets. I read a lot of history, some historical novels (my favorites are the “Flashman” series by George MacDonald Fraser and the “Sharpe” books by Bernard Cornwell) and I play board war games and computer war games (I’m hooked on the “Total War” series). I spent 20 years (1968-87) as a professional writer, producing articles and interviews about the film business for such publications as The New York Times Syndicate, Omni, Psychology Today, Film Comment and many others. I wrote original and adapted screenplays (none of which were ever produced) for “serious” Hollywood producers. But even in those days, I spent much of my time, and all my spare cash, on toy soldiers. The photo below was taken of me in my living room in 1975, when the whole wall was filled with soldiers. 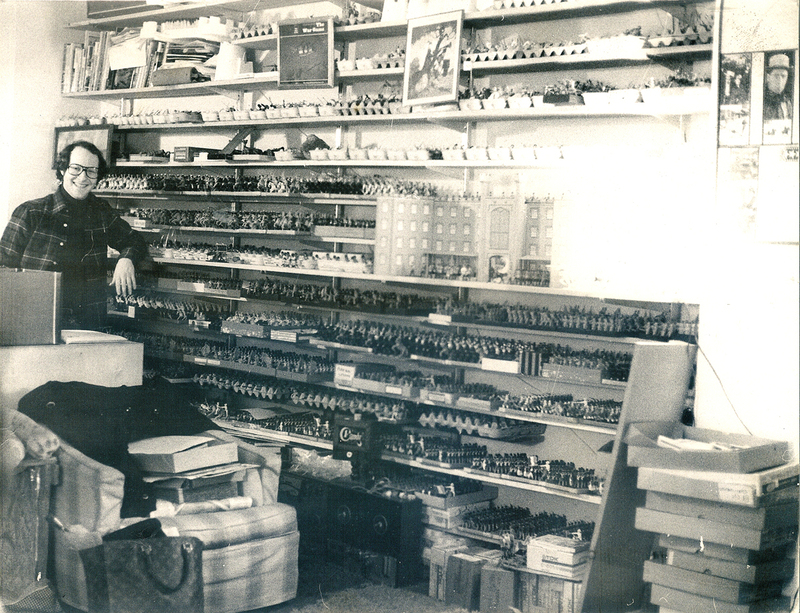 My wife, Jenny, and I have been running The Toy Soldier Company since 1984. We work hard to provide our customers with the best plastic and metal figures and accessories from over 180 different companies. We stock, by estimate, over 2,000,000 figures. But guess what? At Christmas and for my birthday I don’t want sweaters, cuff links or ties. I still want more soldiers for my collection. Sorry for the english, I’m using google translator. Hi James, I like your collection & remember Timpo West Point Cadets which I still have, see photo (if I can send) collected a few myself! A true Jedi in the Toy Soldier Universe – and you know the coolest historical fiction titles to read.! Hey Jamie, nice to read on your background. Virtually the only difference between yours and mine is that I was raised in Toronto and have a degree in Cinematography, though due to life circumstances I never went to Hollywood. Once I retire at 65 I’m finally going to devote the time for many screenplay film ideas.